Learn brushstrokes and techniques for painting grasses, flowers, trees, mountains and landscapes. 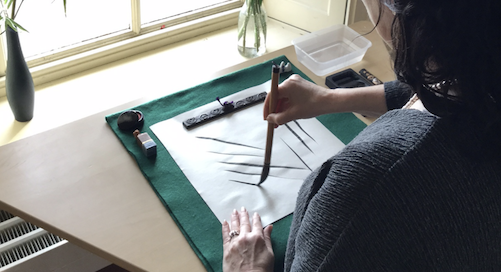 Japanese Black Ink Painting is a unique art form using only black ink, handmade paper and a special brush. It is a lovely calming and relaxing activity.